Jep and his wife, Jessica, are happily married and the proud parents of four kids. But there were times when things were far from rosy. 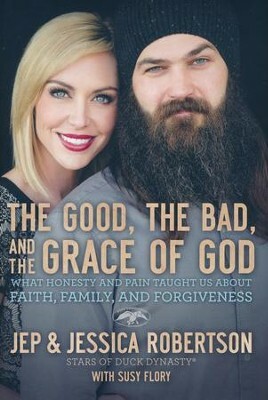 In this revealing memoir, they share their past struggles---including Jep's substance abuse and Jessica's difficult first marriage---to show how God's grace can wash us clean no matter what we've experienced! 240 pages, hardcover from Nelson. "We are desperate to let people know that no matter what youve done; no matter what youve lived through, you can come out of it. You can be washed clean. You are redeemed." 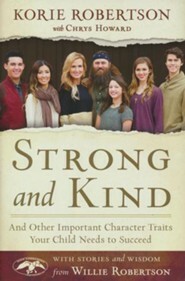 Jep Robertson is the youngest son of Phil and Kay Robertson. Jep grew up in the duck blind and utilizes these years of experience in his role as cameraman and editor for the family busi­ness. Jep is able to think like a hunter behind the camera and, therefore, captured excellent footage for the Duckmen DVD series. 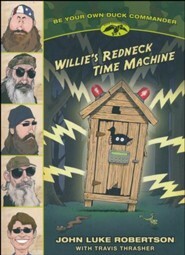 Previously, he also videoed footage for the Benelli Presents Duck Commander TV show. 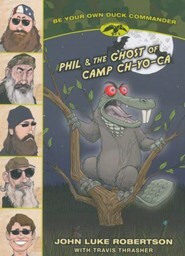 Jep continues with the goal his father began years ago, to bring the "Duckmen style" of hunting out of the swamps, into the editing room, and into the homes of duck hunting enthusiasts around the world. Making his film debut in Duckmen X stoked Jeps passion for capturing his fam­ilys hunts on camera. 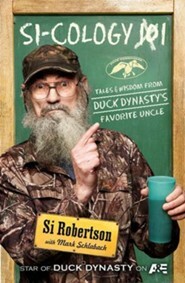 That title remains his favorite Duckmen DVD to date. 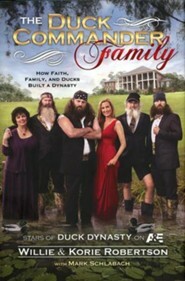 Jep and his family also star in A&Es hit series, Duck Dynasty. Jessica Robertson and Jep have been married for more than fourteen years. As Jeps wife, Jessica fits right in with the family. As a child she grew up hunting on the weekends with her father in the woods of Louisiana. She and Jep met in 2001, and they were mar­ried within two weeks of announcing their engagement. Jessica also has a business background, as do many in the Robertson family, but not from working at Duck Commander. She previously worked in real estate as a licensed real estate agent and most recently worked in sales. Jep and Jessica live in West Monroe, Louisiana with their four children: Lily, Merritt, Priscilla, and River. Susy Flory is the author or coauthor of eight books, including the New York Times bestseller Thunder Dog. She lives in California and is the director of the West Coast Christian Writers Conference. I'm the author/artist and I want to review The Good, the Bad, and the Grace of God: What Honesty and Pain Taught Us About Faith, Family, and Forgiveness.